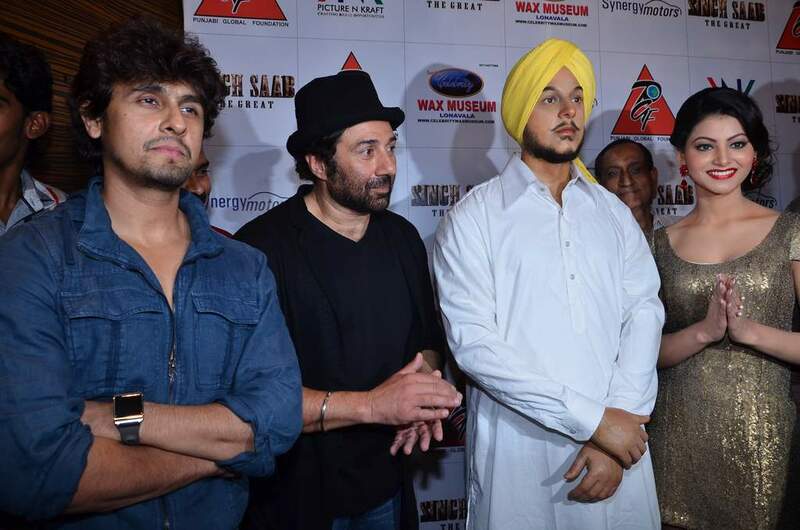 BollywoodGaram.com: Actors Sunny Deol and Urvashi Rautela on November 21, 2013 unveiled the wax statue of Shahid Bhagat Singh in Mumbai. Urvashi and Sunny are part of the upcoming movie ‘Singh Saab The Great’ and promotions are in full swing. The ceremony also had the director of ‘Singh Saab The Great’ Anil Sharma, who said that he and Sunny always try to make good movies together.